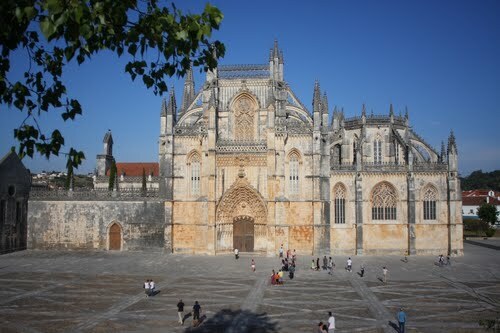 The Monastery of Batalha, literally the Monastery of the Battle, is a Dominican convent in the civil parish of Batalha, in the district of Leiria, in the Centro Region region of Portugal. 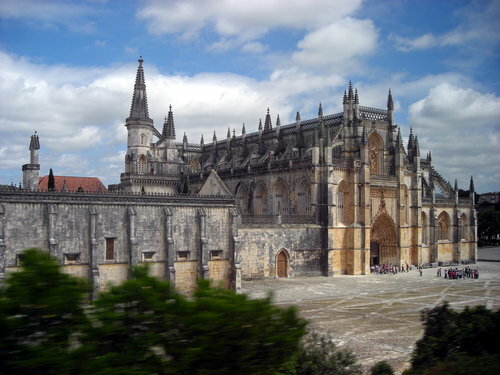 Originally, and officially known, as the Monastery of Saint Mary of the Victory, it was erected in commemoration of the 1385 Battle of Aljubarrota, and would serve as the burial church of the 15th-Century Aviz dynasty of Portuguese royals. 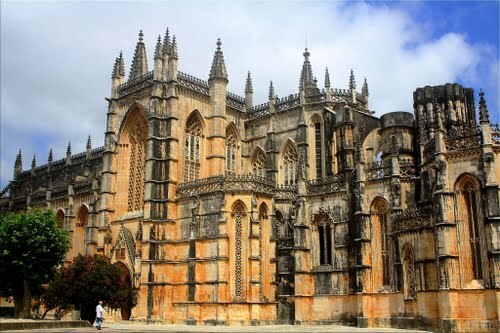 It is one of the best and original examples of Late Gothic architecture in Portugal, intermingled with the Manueline style. 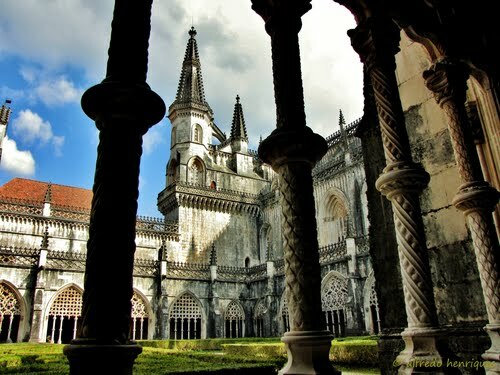 The monastery was built to thank the Virgin Mary for the Portuguese victory over the Castilians in the battle of Aljubarrota in 1385, fulfilling a promise of King John I of Portugal. The battle put an end to the 1383–85 Crisis. 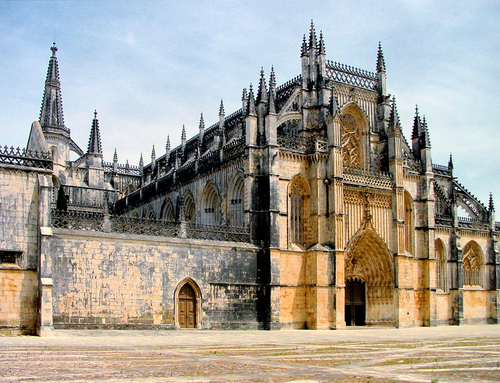 It took over a century to build, starting in 1386 and ending circa 1517, spanning the reign of seven kings. 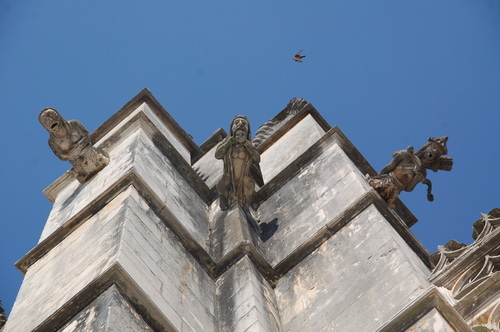 It took the efforts of fifteen architects (Mestre das Obras da Batalha), but for seven of them the title was no more than an honorary title bestowed on them. The construction required an enormous effort, using extraordinary resources of men and material. 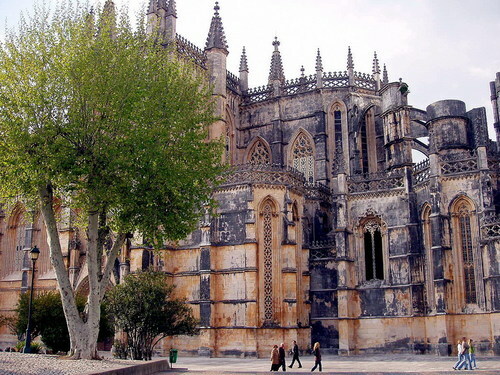 New techniques and artistic styles, hitherto unknown in Portugal, were deployed. 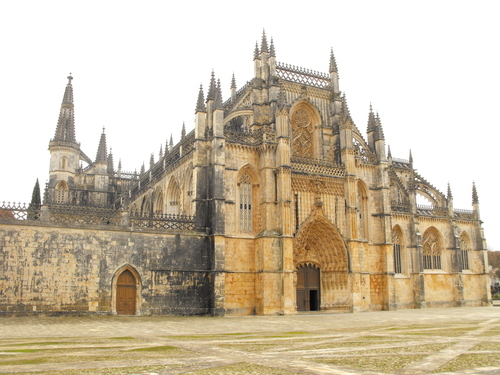 Work began in 1386 by the Portuguese architect Afonso Domingues who continued till 1402. 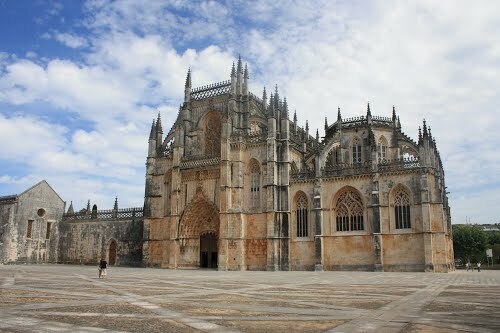 He drew up the plan and many of the structures in the church and the cloister are his doing. 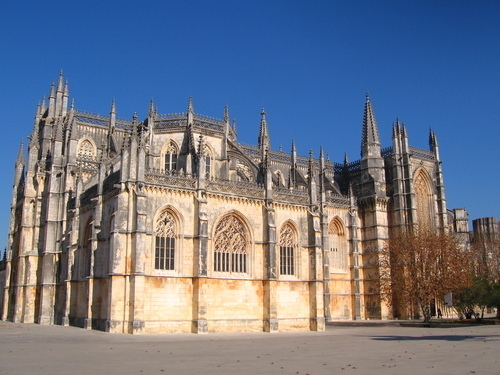 His style was essentially Rayonnant Gothic, however there are influences from the English Perpendicular Period. 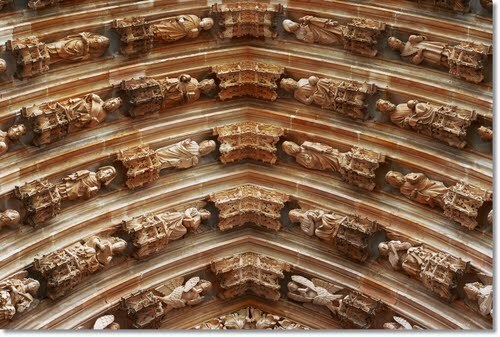 There are similarities with the facade of York Minster and with the nave and transept of Canterbury Cathedral. He was succeeded by Huguet from 1402 to 1438. 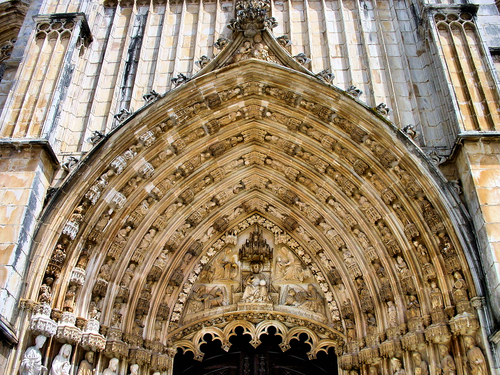 This architect, who was probably of Catalonian descent, introduced the Flamboyant Gothic style. 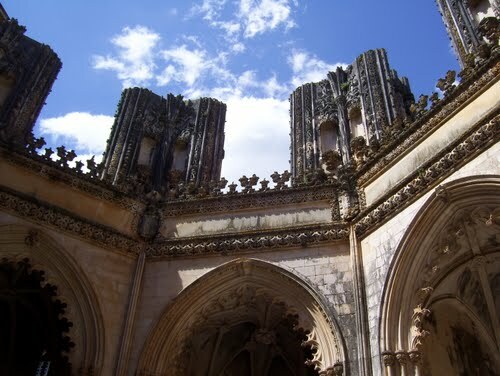 This is manifest in the main façade, the dome of the square chapter house, the Founder's Chapel, the basic structure of the Imperfect Chapels and the north and east naves of the main cloister. 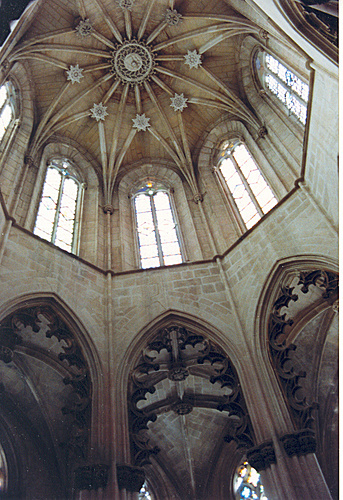 He raised the height of the nave to 32.46 m. By altering the proportions he made the interior of the church even seem narrower. 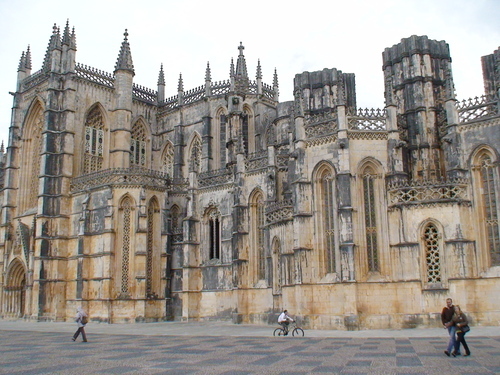 he also completed the transept but he died before he could finish the Imperfect Chapels. 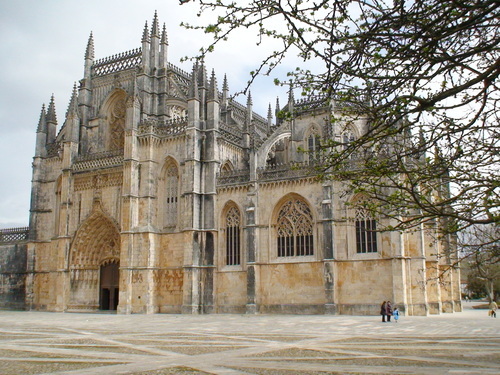 During the reign of Afonso V of Portugal, the Portuguese architect Fernao de Évora continued the construction between 1448 and 1477. 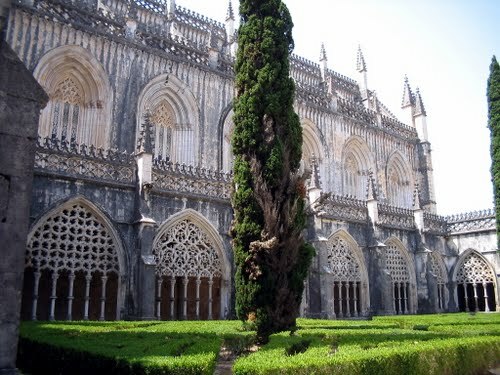 He added the Cloister of Afonso V. He was succeeded by the architect Mateus Fernandes the Elder in the period 1480–1515. 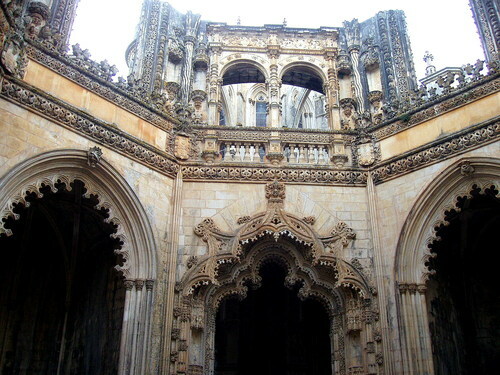 This master of the Manueline style worked on the portal of the Capelas Imperfeitas. 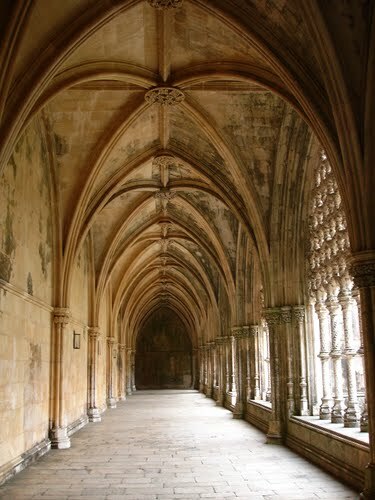 Together with the famous Diogo Boitac he realized the tracery of the arcades in the Claustro Real. 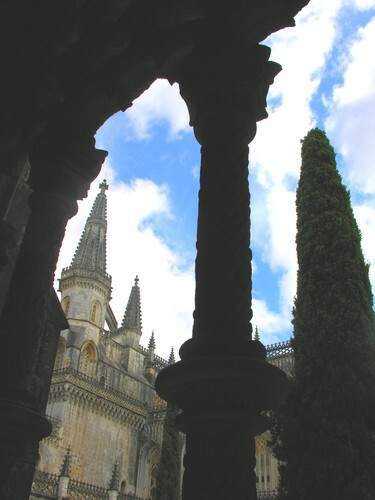 Work on the convent continued into the reign of John III of Portugal with the addition of the fine Renaissance tribune (1532) by Joao de Castilho. 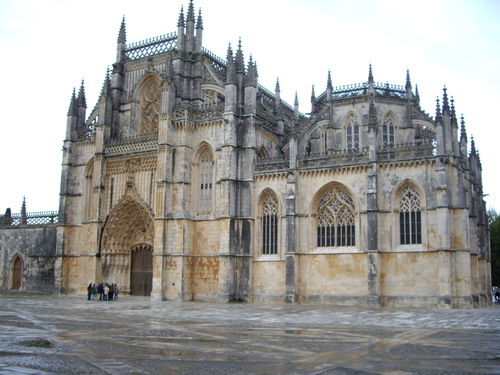 The construction came to a halt, when the king decided to put all his efforts in the construction of the Jerónimos Monastery in Lisbon. The earthquake of 1755 did some damage, but much greater damage was inflicted by the Napoleonic troops of Marshal Masséna, who sacked and burned the complex in 1810 and 1811. When the Dominicans were expelled from the complex in 1834, the church and convent were abandoned and left to fall in ruins. 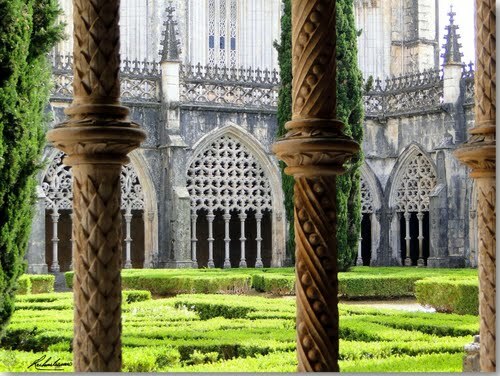 In 1840, king Ferdinand II of Portugal started a restoration program of the abandoned and ruined convent, saving this jewel of Gothic architecture. The restoration would last till the early years of the 20th century. It was declared a national monument in 1907. 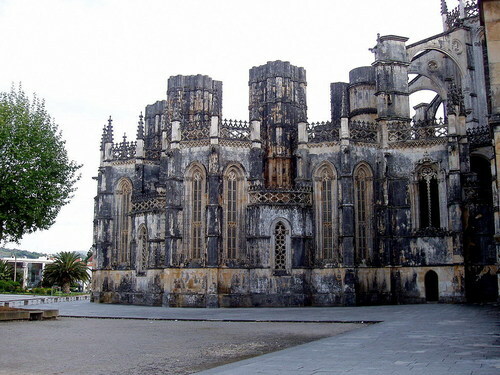 In 1980 the monastery was turned into a museum. 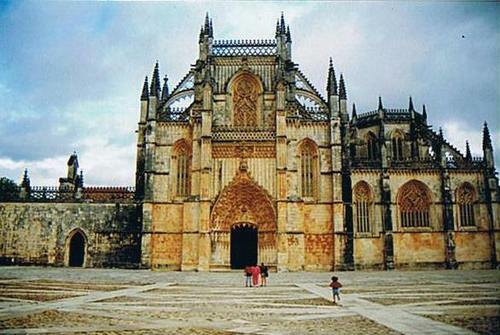 The Batalha convent was added in 1983 by UNESCO to its list of World Heritage sites.